I could not be more excited about the opportunity ISSP has to take a leadership position in defining, promoting, and furthering the practice of sustainability as a profession. The International Society of Sustainability Professionals (ISSP) has announced that a new Leadership Team has been elected by its Board of Directors. The new officers assume their roles with the continued growth of the ISSP Sustainability Professional Certification program as their top priority. More than 240 people worldwide have been certified as ISSP-Certified Sustainability Professionals or (ISSP-CSP) ISSP-Sustainability Associates (ISSP-SA) since ISSP began administering beta tests last summer. Jeff Yorzyk, Senior Program Manager, Cardno Asset Management Group, Golden, CO. Jeff is now President of ISSP for the current 2016-2017 fiscal year. Sarah Lewis, Managing Director of Members and Implementation with The Sustainability Consortium (TSC), Fayetteville, AR, is now Vice President of ISSP. 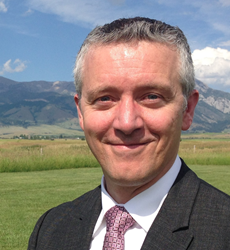 Eric Foley, Director of Sustainability and Director of Learning and Development in Executive Programs at Penn State University, State College, PA, was re-elected Treasurer of ISSP. Marsha Willard, Principal of AXIS Performance Advisors, Portland, OR, continues in her role as Secretary of ISSP. Simon Harvey, Director of BusinessLAB, Auckland, New Zealand, was re-elected as Development Director of ISSP. Marilyn Johnson, Senior Director of Corporate Sustainability for IHS, Bellevue, WA, will stay active in ISSP in her new role as Past President of ISSP. To see a listing of all current ISSP Board Members, click here. The International Society of Sustainability Professionals (ISSP) is the world's leading professional association for sustainability professionals. ISSP is a member-driven organization committed to moving the profession of sustainability forward by leading the design and delivery of the first globally recognized Sustainability Professional Certification and by building strong networks and communities of practice. Webinars, online courses, a sustainability educational certificate, sustainability professional’s body of knowledge, special reports, resource directories and salary surveys are just a sampling of the rich content offered to members. Formed in 2007, ISSP boasts almost 1000 members from every region of the world.